Hugging India’s western coast, the small exotic state of Goa can best be described as magical. 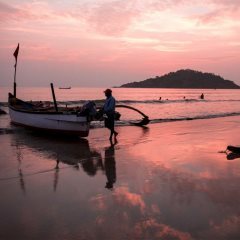 Goa holidays are blessed with a wonderful climate, with long, hot winters and azure blue skies, a spectacular landscape with stunning palm-fringed shores, gentle meandering rivers and verdant jungle-covered mountains. And with a vibrant culture, a rich colonial past and such warm and welcoming people, Goa holidays will capture your heart throughout, leaving you wanting more. 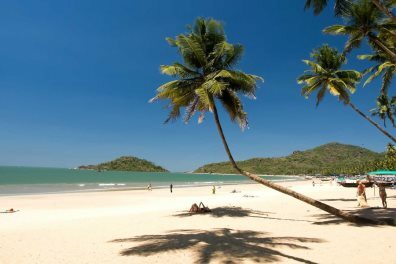 For a wonderfully hot winter sun holiday and a gentle introduction to the Indian sub-continent, Goa is hard to beat. 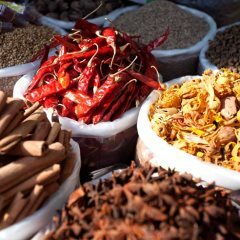 The exotic flavours of India are mixed with the familiar feel of European destinations, giving a unique and memorable Goa package holiday experience. 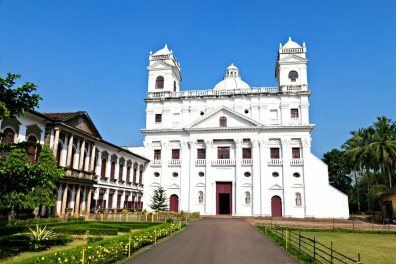 Having been a Portuguese colony for over 400 years, there is a unique and distinct culture to discover during Goa holidays, blending the ancient traditions of India with colonial influences from the Portuguese. All over the state you will find Hindu and Christian architecture side by side, from intricate Hindu temples and whitewashed churches to colourful Portuguese Heritage homes in soft pistachio and lemon. 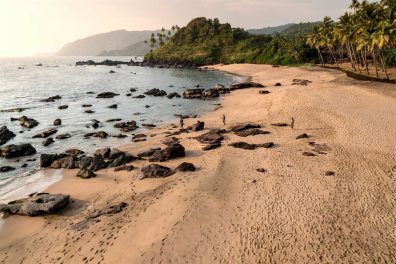 This is where India meets the Arabian Sea, and Goa’s coastline is blessed with some of the most striking beaches. For such a small state, it offers an impressive array of beach resorts. Bustling golden shores in the north are backed by colourful makeshift beach shacks, serving everything from fresh and tasty street food and refreshments through to handmade souvenirs. Moving to the south, secluded powder white sands are often lined by plush palm trees which stretch all the way along the coast. 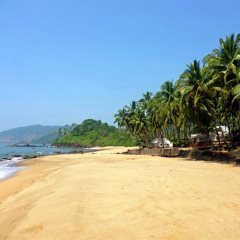 We're confident that for the beach lovers, Goa holidays have plenty to offer. 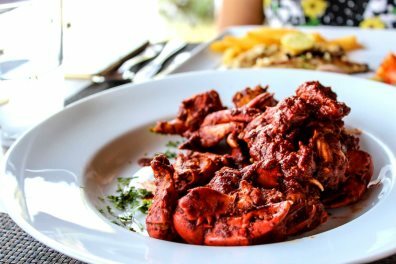 Goan cuisine is a fantastic fusion of Indian and Portuguese flavours, is distinct to this region and one of the most alluring charms of Goa holidays. The likes of rich creamy coconut milk is infused with aromatic herbs and fresh spices and often served with locally caught fish and fluffy white rice. Make sure you try the most popular dish, a traditional Goan fish curry. 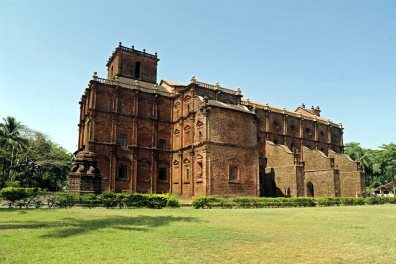 Away from the beguiling beaches and the inviting hotel swimming pools, Goa is a varied and exciting state to explore. We offer a great number of excursions that will enable you to discover the whole state, whether you wish to see the tallest waterfalls, the fragrant spice plantations or the historic marvels of the old city. 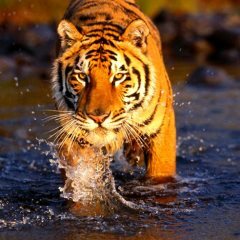 Don't forget our add-on India Tours for the more adventurous - exploring the Golden Triangle and the tigers of Ranthambore National Park is just the beginning.